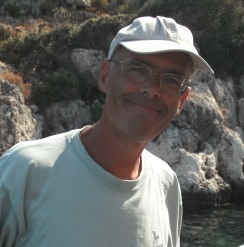 Gordon Chancellor is a palaeontologist by training, and is currently a museum adviser based in Cambridge. He has been researching the HMS Beagle voyage of 1831-6 for 35 years, and has made many contributions to Darwin Online, including introductions to Darwin's Geological Diary, to his geological books Coral reefs, Volcanic islands, South America and Earthworms. Chancellor has recently published ‘Levels of Selection in Darwin’s Origin of Species’ in History and Philosophy of the Life Sciences and is currently working with John van Wyhe on an edition of Darwin’s loose geological field notes from the voyage. 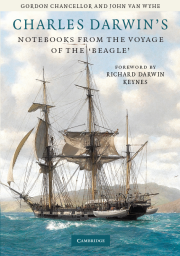 Gordon's book, with John van Wyhe and Kees Rookmaaker, Charles Darwin's notebooks from the voyage of the Beagle, is published by Cambridge University Press. See the online versions of the Beagle notebooks here. 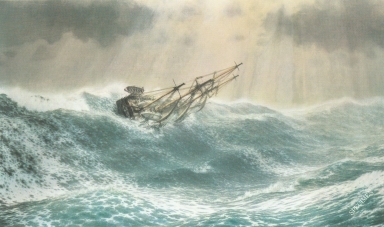 Gordon persuaded his father John Chancellor (1925-1984), one of the finest marine artists of recent generations, to paint two pictures of the Beagle. Requests to reproduce either of these pictures must be directed to Gordon at gordon.chancellor@btinternet.com. Further information about John Chancellor’s work is available at www.johnchancellor.co.uk. 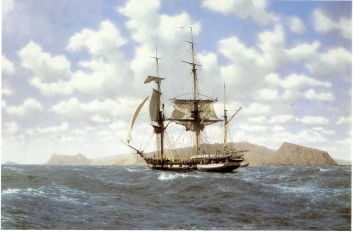 HMS Beagle in the Galapagos, 17 October 1835 2.15 p.m., by John Chancellor. Sorely Tried, HMS Beagle off Cape Horn, 13 January 1833 at 1.45 p.m., by John Chancellor.